The latest controversies of social networks Facebook and Twitter are easily the most heated in their entire 12-14 year history — not just because of their suspect role in enabling interference in the 2016 election, but because by now, nearly all of us are users. If history is any guide, however, this outrage likely won’t last. The simple fact is Facebook and Twitter have become too useful for most of us to quit, efficiently connecting us to people and ideas in ways that no other platform can replicate. It’s usually enough for the social networks’ corporate owners to loudly apologize and promise new reforms; after the anger ebbs, equilibrium is rapidly restored. Even many users who vowed to quit social media forever will eventually, begrudgingly, return. Publication speed: Response comments are published through an “Enter to send” model, versus “click to reply”. 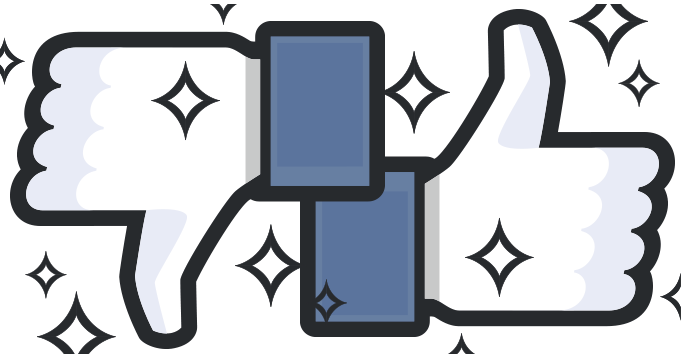 One-click interaction: Retweet, reshare, reply, Like, Upvote/Downvote, or (in Facebook’s case) express an emotion, all with a single finger twitch. Real-time usage stats: Content creation is rewarded with game-like “scores”, encouraging users to see how many likes, comments and reactions each of their interactions earns. These dynamic interactions are compounded by the overall user interface, with image-based posts, screenshots and retweets occupying much of the interface display. Imagery accelerates and magnifies user engagement; it also encourages users to take and spread screencaps of incendiary private discussions and inflammatory discussions from other social networks. The ever-increasing speed of wireless broadband further exacerbates this problem, encouraging emotional engagements wherever and wherever we might be with a device in our hands. It’s rare that you can scroll down a Twitter or Facebook feed without getting emotionally hooked by something. Unlike an analog conversation, which might hook you emotionally one part at a time, social media feeds offer multiple barbs per page. Scroll long enough and there is no escape. It would be simplistic, however, to say the design of social media is the sole culprit, because they are papering over an even deeper design problem. Social networks are flourishing (for good and ill) because our networks are no longer operating at human scale. At human scale, we’re able to moderate better. Consider the user experience of the Thanksgiving dinner, where a heated political topic between relatives can be gently overridden by asking to pass the gravy. The entire shape of our communication patterns have changed. We routinely communicate with people far away, and increasingly, less with the people in our neighborhood. Our family and friend groups are smaller than ever before; 1 in 4 of us live alone, more than half us are unmarried. We spend increasingly more of our time in non-places — in freeway traffic, sterile office buildings, bland airports — putting us as humans on pause. So we reach for an out. Social media becomes our cigarette break, a quick drag of distilled, pre-filtered humanity with potentially cancerous side effects. We interact with others through our social media profile, what I call our global, templated self, which amplifies the best of who we are — but helps social media companies profit from the demons of our darker nature. Cool-off before commenting: If a given social media post generates a rapid influx of negative comments or reactions, the system can impose a “cool-off” delay before further comments can be made. Even a pause of 30 seconds could work wonders on giving users a respite to consider the heated reaction they’re about to post, or even reconsider posting at all. Quiz before commenting (or sharing): A Norwegian newsite recently introduced this feature to great effect: Whenever a reader wanted to post a comment on a given news item, they first had to answer a series of multiple choice questions about the story, to prove they had actually read it. After this system was deployed, trollish comments substantially decreased. Working in tandem with media sites, social media platforms should implement a similar quiz system on updates. It could also be deployed to prevent the thoughtless dispersion of content: before being able to share or retweet a given piece of content, a user would have to correctly answer a small set of questions to demonstrate they had really read or viewed it. Implement timeline “rest” options: To address the cascade of emotional hooks created by timeline feeds, Facebook and Twitter should experiment with a pause button that imposes user-set resting periods — during which, users wouldn’t receive notifications or comments associated with their timeline. Key advantage to these features is that they still foster sustained interaction on social media through a warmer overall experience that minimizes the fiery spikes of outrage that often cause users to disengage (or in Internet jargon, “ragequit”). It’s in the interest of Twitter and Facebook, in other words, to implement them. But if past history is any guide, changes like these will come only after a sustained protest by the user base. It’s up to us to insist on a better, more humane social media experience — and not let the inertia of our everyday surroundings dull us back into our usual, templated routines. Until, that is, the next inevitable social network controversy spurs us into another moment of waning outrage. Samsung's great Galaxy Note 8 order freebies end Sept 24, so act fast!